High up in the stratosphere, ozone is important because it protects life on Earth from the Sun's harmful rays of ultraviolet radiation. CAMS senior scientist, Antje Inness, explained, "First, a lot of technical work is needed to include new data in the processing chain at ECMWF. "Then the scientific work starts. We monitor the data passively and work with the team at the German Aerospace Centre, DLR, to solve any problems. "Finally, the assimilation of the data can begin, and the data now influence the CAMS forecasts." 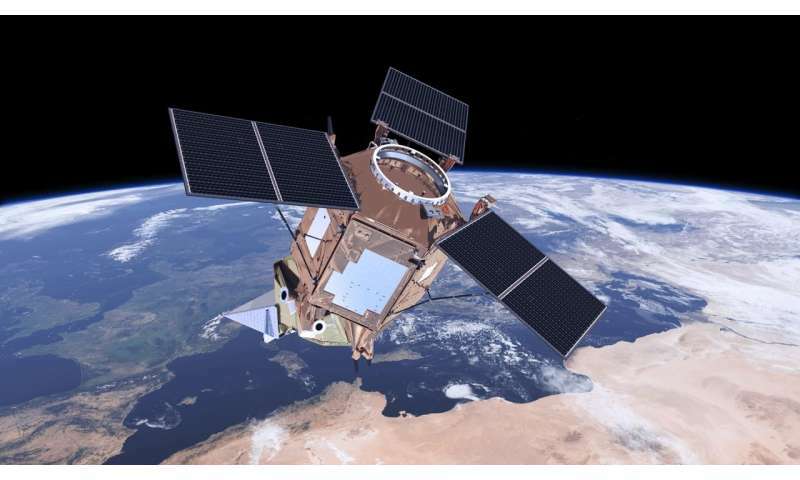 Head of the service, Vincent-Henri Peuch, added, "Soon after Copernicus Sentinel-5P was launched in late 2017 we started monitoring the total column near-realtime ozone data in research experiments, and since July in our operational system. "This has shown that the data are good quality and we are now starting to use them actively in our system." ESA's mission manager for Copernicus Sentinel-5P, Claus Zehner, noted, "The uptake of these first data products into CAMS is a really important milestone – we couldn't be happier." CAMS is also routinely monitoring the mission's nitrogen dioxide and carbon monoxide data, which also look promising for uptake in the near future. All of the mission's measurements of atmospheric gases and aerosols are 'column data', which means they cover the full depth of the atmosphere.